Retired travel is one of the most popular things to look forward to. Let’s face it – living in one place for the bulk of your life can get a little boring and tedious. While there are people who simply love the place they grew up, many of us get tired of seeing the same old places and doing the same things we have done our whole lives. We are not prisoners, yet at some point we may feel imprisoned by a monotonous lifestyle. It’s good to get away from what we are used to once in a while. If you have been bound to one location because of your career, when you retire is the perfect time to get out there and stop putting off exploring the world! Thankfully international travel has never been easier and the hardest part is really deciding just where you will want to visit! You donâ€™t need to spend too much on your travel expenses. Instead of paying for hotel accommodations and travel expenses using regular rates, you can look for travel agents that offer discounts to retirees. If you do your research, you will find that there are many travel agents that offer these kinds of deals. Moreover, if you are a member of the American Association of Retired Persons you can enjoy a lot of discounts that the members get when traveling to certain places. If traveling to another country isn’t in your budget or interest you can still do a lot of amazing travel domestically. To scratch your travel itch you can actually get an RV for you retirement and live your retirement all over the US, Canada or even first travel to another country and then get an RV there. You can even cross the borders with it. If you want to go overseas, you can join a cruise (or even retire and live on a cruise ship!). If you research it, there are great deals available for retirees. 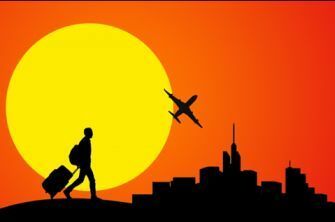 While a lot of retired people travel overseas and settle in a foreign country, many do not settle in one place for a long time. Many of the retired stay in one place for a while to explore and enjoy what the place has to offer and then move on to the next place that seems interesting. For instance, you could retire for awhile in Mexico. You do not have to commit to staying there for long, so you can just find a rental home for your stay. After you have visited every nook and cranny in Mexico, you can then jet off to France and stay there for a period of time. The list of popular places fore retirees to travel to are really endless as each different countries has several different regions and cities or towns to live in – each offering a unique and enriching experience. A lot of the retired travel the world and live out their dreams. You can do so too when you retire. Planning for your retirement will help you live out the retirement of your dreams.